With the hottest days of summer upon us, the sparkling clear, cool water of the pool provides an inviting relief from the scorching summer sun. This is the time of year when most of our pools will experience the heaviest traffic, be the most vulnerable to contaminants such as bacteria and algae growth, and require the most care and attention to be in optimal shape. Every pool owner knows the importance of maintaining a clean, appropriately balanced pool, and this can, at times, be a difficult task. Here are a few tips to help keep you on track during the summer season. 1. Set a schedule, and keep to it. Routine maintenance is the biggest factor in maintaining a healthy pool. During the summer months we often feel we are too busy, or perhaps just more inclined to enjoy our free time, and this can lead to a lack of routine care. Schedule time 1 to 2 days per week for water testing, and one day of the week to perform more extensive tasks, such as scrubbing the pool and emptying the skimmer baskets. Keep a reminder out in the open, in your calendar, or better yet – set an alarm on your phone so you’ll never forget. 2. Check daily for debris that needs to be skimmed from your pool. Removing debris as soon as possible will prevent further problems from developing. It only takes a few minutes, and it will be worth it – especially since it will help you to notice right away any other problems that might be occurring, and this could prevent costly and time consuming repairs in the future. 3. If it is within your budget, investing in a robotic vaccuum could greatly reduce the time and effort required to keep your pool clean, allowing you more free time to enjoy the pool instead. 4. Don’t be afraid to consult a professional if you have questions or concerns about your pool care routine or the health and safety and stability of your pool. If you notice a problem such as leaking, cracking, cloudy water or a foul odor, or any other symptom that might mean something is wrong, seek help as soon as possible to prevent a small problem from becoming a major issue. 5. 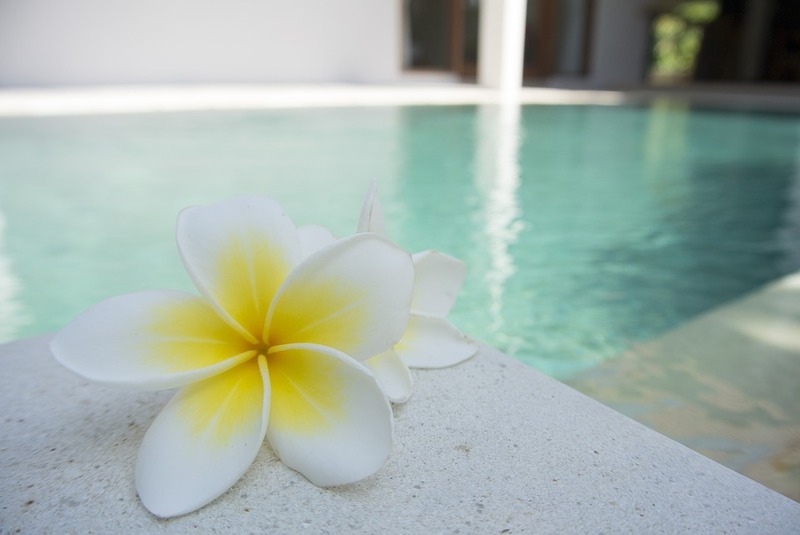 If regular routine care is a hardship due to time constraints or any other reasons, consider hiring a pool maintenance company to take care of the work for you. Blue Water Pool Supplies provides pool services in the Daytona, FL area.